I’ve been a La Prairie fan for years. In fact, I’ve been devoted to the luxury skincare brand for exactly as long as I’ve worked as a full-time beauty editor—seven years—because I’ve had gratis access to the products. Admittedly, they’re incredibly expensive, and such luxury isn’t exactly accessible on a limited budget. So when I was able to score samples, I got hooked. I wax poetic about the brand’s Essence-in-Lotion and Absolute Filler because they’re the crème de la crème in the skincare industry, but I'm not unaware of the cash it takes to own them. Here's the thing: La Prairie's products yield favorable, fast results, and they look good while they're at it. That being said, it’s not until right this very moment, with this specific formulation, that I've felt as strongly about a product's worth. 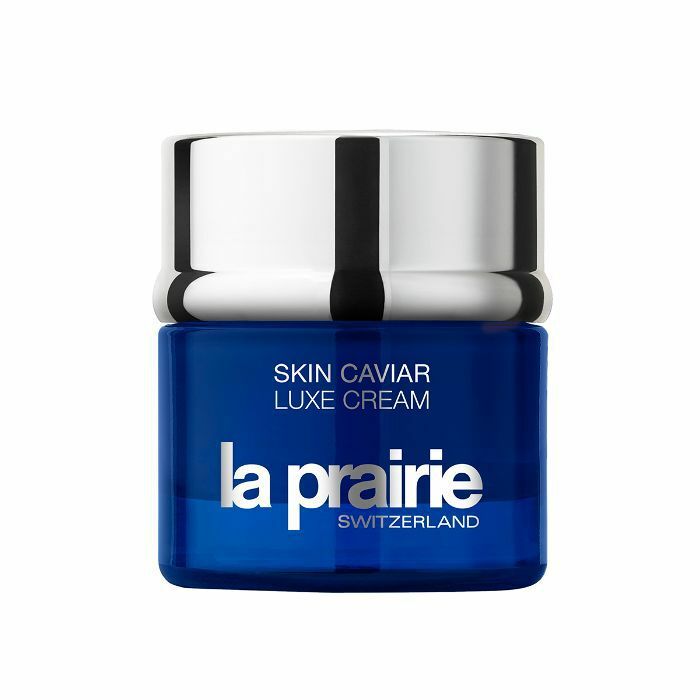 If you’re looking to splurge, the newest La Prairie offering is the one to do it on. After years of research, La Prairie sought out to reinvent its signature Caviar formula with a new incarnation: Skin Caviar Luxe Cream remastered. The luxe packaging, indulgent sensorial experience, and texture are the same. The difference? The skincare brand has included lifting and firming to its remastered formula, using caviar extracts and “caviar mimetics,” along with its signature cellular complex, to strengthen and magnify the results. Coined Caviar Premier, the blend of seven active ingredients helps increase elasticity in your skin—including botanical AHAs and vitamins A, C, and E to gently resurface as well as tons of smoothing, soothing moisture from shea butter and sodium hyaluronate (together they increase your skin's water retention to smooth fine lines). Then, the polyglucuronic acid and microalgae extracts come into play to help stimulate your surface skin to increase firmness. As such, this cream helps to actually support your features, offering up a new tautness and suppleness to your skin with continued use. No injections required. 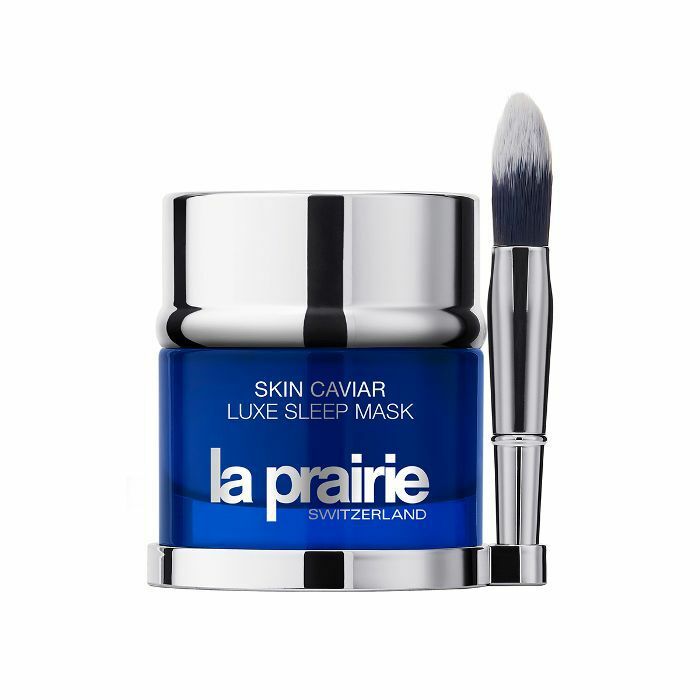 And, as with any luxury, La Prairie is providing a choice in texture too—a thick, creamy option or one that applies more lightweight and sheer. That bliss look above, that was directly after my first application of the cream. You can use it as both a day and a night cream, though I like to do the sheer in the morning and thick come bedtime. The first thing I do each morning is wash with Eve Lom's Cleanser ($80), follow up with SkinCeuticals C E Ferulic ($166) and B5 Gel ($98), and then smooth on this buttery, lovely confection and watch my skin drink it all up. Immediately, you'll notice an otherworldly glow, offering up all the dewy, supple shine you've been missing from your usual moisturizer. Then, over time (for me it was about a week or so), you'll start to watch your skin become more toned, firmed, and lifted. It's like a magic trick, only it's very real (and backed by science). Plus, if you're really looking for exponential results, try its newly reformulated Sleep Mask as well. FYI: I always get hit on when I use this lip product.